Australian Bureau of Statistics has just released a new version of Postal Area boundaries as part of the 2016 update of the Australian Statistical Geography Standard (ASGS). As the ABS explains, a postcode is a four digit number used by Australia Post to assist with mail delivery. Australia Post does not currently define geographic boundaries for postcodes. However, a number of organisations, including MapDeck, have created geographic boundaries that aim to define the geographic extent of the mail delivery area for each postcode. Defining postcodes with a geographic boundary is an imprecise process, and this is demonstrated by the fact that there are variations in the boundaries released by different organisations. Additionally, postcodes cover most, but not all, of Australia; for example, western Tasmania is not covered by a postcode. Postal Areas (abbreviated as POAs) are an ABS approximation of Australia Post postcodes and are created to enable the release of ABS data on areas that, as closely as possible, approximate postcodes. This enables the comparison of ABS data with other data collected using postcodes as the geographic reference. Postal Areas are approximated using one or more Mesh Blocks (MBs) from the 2016 edition of the Australian Statistical Geography Standard (ASGS). This is a different approach than in 2011 where Postal Areas were built from much coarser Statistical Area Level 1 (SA1) boundaries and had a less accurate representation of actual postcodes. In developing Postal Areas, each Mesh Block is allocated to a single Australia Post postcode. Postal Areas derived in this way only approximate postcode boundaries. Mesh Block allocations are based on the distribution of the estimated population within each Mesh Block, not on the total polygon area. These allocations have been determined using the best available information on postcode boundaries. For the 2016 ASGS 2,670 Postal Areas have been defined. The codes used for the 2016 Postal Areas may not match those used in 2011 in some instances. Changes to codes occur where Australia Post abolished postcodes or changed codes between editions of the ASGS. more than one Mesh Block partially covers a postcode, but all the Mesh Blocks are allocated to other postcodes, based on the share of population with which they also share area. Postal Areas exclude Australia Post postcodes that are not street delivery areas. These include post office boxes, mail-back competitions, large volume receivers and specialist delivery postcodes. These postcodes are only valid for postal addresses and are not a valid location for population data. It should be noted that there are instances where postcodes cross state or territory boundaries. 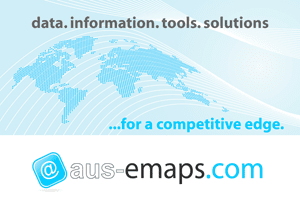 Unlike MapDeck’s Postcodes 2016 dataset that references only officially gazetted localities, ABS’ Postal Areas are defined to cover the whole of geographic Australia without gaps. 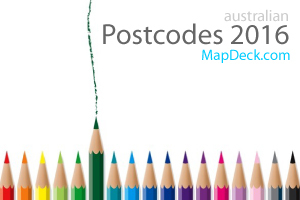 Similarly to all versions of Australian postcode boundaries available on MapDeck, Postal Areas, Australia 2016 are free for use by all subscribers.